Are Novel Writing Software Packages Worth Checking Out? Have you thought about trying out some of the new novel writing software packages that are available on the market? Some authors have complained about them as they feel that creativity is diluted by using these. Yet there is a larger number of authors who love them – saying that they allow you to organize your novel and focus on your writing. And it seems that more writers are using novel writing software packages than are not using them. Listed here are three of the main benefits these writers point out. By their very nature, the better novel writing programs help writers by laying out a solid plot structure for the writer to build upon. Many of these programs help the writer not only lay out all of the novel’s scenes in proper order, but also correctly structure the individual scenes themselves. Novel writing programs are created to make it easy for writers to take care of the more mechanical aspects of the creative process. For example, you might enter details of a character’s appearance and personality, and this data pops up on the side of the screen for easy reference whenever you assign this character to a scene. Or you might realize halfway through creating your novel that your word length is off. With a good program you should be able to click a button and the scenes will readjust in their proper order. When the mechanics of any process are taken care of for you, you’re freed up to focus your energies on the creative aspect-the part of the process that makes your project uniquely yours. When word processors replaced typewriters, writers no longer had to worry about how many drafts they would have to laboriously churn out. Editing was no longer a problem. Everything could be done easily on the screen, and a project could be printed out at the click of a button. 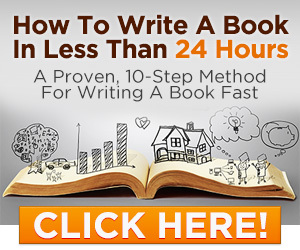 Novel writing software performs this same service for the fiction writer. As a literary agent, I have seen countless writers abandon manuscripts in the middle when they hit a brick wall; they had written themselves into a corner and couldn’t get out. A good novel writing program prevents this from happening by laying out the novel’s entire structure from the start. Not only do you know at the beginning the entire course of your story, but you can jump around, working on scenes out of order, easily making adjustments as you see fit. These programs make novel writing easy and fun. Many other users of novel writing software have reported that these programs force them to think through details of their scenes, thus allowing them to complete novels they wouldn’t have completed otherwise. In this respect, novel writing programs offer a needed discipline to the creative spirit. Is novel writing software right for you? If you welcome a solid structure in your books, like the idea of the mechanics being taken care of for you, and sometimes need a “coach” to help you finish your work… you could be an ideal candidate for novel writing software packages. Note: This post is by Positive Writer contributor, Nicole Gulotta. She’s the author of Eat This Poem: A Literary Feast of Recipes Inspired by Poetry, and pens a blog by the same name. Say hello on Twitter or Instagram. If you’re struggling to maintain a consistent journal practice, it probably has nothing to do with your commitment. It’s all about choosing the best method for your lifestyle. Patriots followers tend to be definitely acquainted Tom Brady the quarterback, but come September, they could additionally get to know Tom Brady mcdougal. The five-time Super Bowl champ revealed on Thursday that he is writing a novel entitled The TB12 Method: how exactly to attain an eternity of Sustained Peak Efficiency. Set-to be released this autumn, the 320-page guide will offer actionable steps for readers who wish to enhance their particular potential and attain brand new heights of success, à la the 39-year-old star. “i understand the strategy in this guide could be a blueprint to higher learning how to preserve top mental and conditioning throughout yourself,” Brady said, via Instagram. a press release dubs Brady’s guide the “athlete’s bible,” but the Patriots QB claims he feels it “can gain everybody irrespective of age, sports level, phase of life.” The TB12 Process can not only cover topics like strength training and data recovery and touch on nourishment, moisture, also lifestyle choices. The guide employs previous Brady product releases or recommendations – including a cookbook, sleepwear, and house dinner kits – that are consistent with their philosophy regarding physical fitness and nutrition. The Write Structure: A Simple, Effective Method for Teaching Writing Across the Content Areas – Dave Stuart Jr.
​Note from Dave: whenever I began my profession in 2006, it had been as a sixth-grade English Language Arts instructor in Baltimore, MD. I could nevertheless recall the scripted curriculum they handed myself, filled with workbooks, pupil consumables, plus the hope that all of my pupils could be taking care of decoding phonemes in my double-period, sixth-grade English language arts course. Actually, I happened to be teaching the students identified because of the state’s reading and writing dimensions as low-performing — but, obviously, there was an array of aptitude, interest, and gifting in those sets of kids. Obviously, none of them enjoyed the scripted, “Let’s write two-word sentences for four weeks” curriculum — and their instructor didn’t both! My principals had been great, and comprehended all of this. They quickly gave me the flexibleness to show outside of the script, offering me personally permission to complete what I thought was best. But this delivered a complete different issue: How was I to instruct my students simple tips to write successfully — in both reaction to the high stakes composing questions that have been coming their means within the spring and responding to a broader array of writing jobs that might be dealing with all of them within the a long time? If only I experienced access after that to Lindsay Veitch’s simple, specific way for teaching pupils tips write coherently throughout the content areas. Lindsay told me concerning the Write Structure about 50 % this past year, and I was straight away impressed by the outcomes she was witnessing her pupils achieve and exactly how the lady colleagues at the center school where she works had begun effectively utilizing the strategy too. Effective? Check Always. Low-stress adequate to attract a colleague into planning to test it? Always Check. She dug into a challenge that were bothering this lady. In this case, using the anxiety, confusion, and mystery out-of successfully responding to the wide variety prompts our pupils expertise in certain school 12 months. She took place upon something which worked, after which she continued to hone that method. She dedicated to that which was working and mastered it, in the place of shifting to a higher thing. Repetition helps it be stick. Lindsay’s pupils use The Write Structure over 50 times in a school 12 months; it becomes a part of their particular minds. A broad variety of in-class programs (plus an excellent dosage of enjoyable) makes it unforgettable and meaningful adequate to transfer. This isn’t drill and destroy. Because Lindsay utilizes The Write Structure since the core of the woman writing instruction, pupils put it on to prompts across her ELA and social researches units. This develops a deep understanding of the design that transfers to circumstances outside the woman class room, be they high stakes tests or composing prompts in various courses. And so it is that six months after Lindsay composed myself, i will be so proud to present the woman fresh guide, The Write Structure: a straightforward, efficient way for Teaching composing Across the Content Areas, which I think tends to make unforgettable and explicit a few of the main moves our students requirement for effectively answering writing prompts. Im so grateful and excited to present to you my friend, Lindsay Veitch. Below, please enjoy her introduction to the woman brand-new guide. I am aware this scene is familiar to you personally: A student absently stares, struggling to form phrases for a research writing prompt; a soft chorus of sighs and moans bubble up from class when a text response is assigned; sets of glossed over eyes glare in the blank text box on the State Test; an instructor plenty as utters the text built reaction, and pupils start melting in their seats. These children aren’t alone; many otherwise brilliant and effective students (and adults for that matter) loathe writing tasks. It’s the single most important thing young ones tell me they don’t feel effective at at school. Yet it’s the number one task we charge children with anyway class levels. I think authors battle to write maybe not simply because they can’t compose, but because they don’t learn how to format their particular thoughts, helping to make them feel like they can’t. State test prompts tend to be ever-changing. 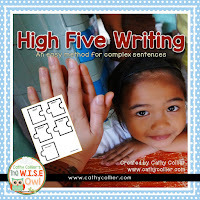 The types of writing — expository, argumentative, compare/contrast, built responses, an such like — overwhelm our children. It’s ACT one-year and SAT the next. More, writing formats are, literally, a moving target. If a kid got a buck for every single brand-new concept chart, arbitrary overview, and visual organizer she or he was presented with for the duration of a K-12 education… you receive the purpose. There are an incredible number of writing outlines available and a lot of platforms educators could and do used to instruct writing. Quite a few are good, research-based, and effective. But undoubtedly, the entire of it is daunting. It’s difficult to imagine masses of 14-year-olds recalling to state thank you, let alone remembering the 107 various outlines and concept maps through the previous eight many years of college. Even with teaching ELA for more than 10 years and attending a good amount of encouraging and helpful professional developments, we struggled to get a simple and simple solution to instruct children to create in ELA and across material places. We all have been specialists — able article writers ourselves — yet we feel ill-equipped to show writing. Individuals shy from the teaching of writing since it seems therefore messy and complicated. Still, we tell children to write all the time, virtually a large number of times just about every day. They write in front side people and alone in the home. Many times, though, pupils aren’t shown how exactly to write. Further, students have said which they wish a straightforward, consistent construction to check out. Like in math, they say, anything black-and-white. Their point became loud and clear, and I also wanted to make writing much easier for my children. Numerous teachers like me feel the same manner, and we also make an effort to help by providing young ones with idea maps, outlines, plus. What ultimately ends up taking place, year after year, is an ever-changing collection of writing rules and methodologies tend to be provided for kids to check out. Moments of success one year are changed by confusion and disappointment the following. We knew that what I needed ended up being a writing strategy that will stick into the already-overwhelmed minds of the pupils I stand in front of and remain beside daily. Just what my young ones needed had been an easy construction that would be put on any concern, prompt, essay, or empty text package. This structure would have to be unforgettable. It needed seriously to assist enrich writing. It must be applicable anywhere. A primary quality piece about summer getaway, a fourth grader writing about a social studies subject, a ninth grader developing an argumentative essay about unpleasant species inside Great Lakes. Adults in university writing email messages, drafting speeches. I looked for this structure and found many options: writing acronyms galore, high priced trainings, and lots of home made outlines. I came across ample idea maps, the majority of which are no-cost. Nothing among these options believed completely transferable. Do not require stuck with my children. I possibly couldn’t cause them to become work in the dozens upon lots of composing tasks We assign my kids annually. But 1 day, I endured before my class, especially amped on coffee, and waved my hand-in the atmosphere informing my students to “IDENTIFY IT!” (On that time, the “it” had been the motif of a text we just read). Next, I pointed straight ahead and shouted, “Then you have to PROVE IT!” (with research through the text). And finally, because I happened to be on a roll, arms flailing and pointing with these types of passion, I stated, while swooping my hand back once again to the initial motion, “BRING IT BACK AROUND!” (describe how your estimate demonstrates the motif then rephrase/restate your theme). And indeed there its. The method I’d already been searching for came to be. We began utilizing this language to build up and format sentences about theme, after that author’s craft, after that constructed response ever class to format sub-topics for educational article paragraphs, even for developing speeches. The Write construction just isn’t foolproof. It requires work and plenty of recycling. Actually, as with any plans, it’s effectiveness nevertheless depends on exactly how it’s modeled because of the instructor, how it’s retaught in conferencing with children, how its used across material areas. I’ve proof that this strategy works. I’ve seen a myriad of students turn a blank piece of paper because of their State Test into an overview — in which Identify It! Prove It! carry it Back Around! (which my teaching companion, Jenn, abbreviated to BIBA — pronounced “beeba” — it’s so fun to say!) guides their reasoning and writing. The grade of writing students produce and scores they earn prove it. Above all, The Write Structure takes the guesswork off young ones’ biggest question: how do you write this? Blank paper or a clear text box no further signals the chorus of sighs and moans. Anxiety is lowered. Students embrace the prompt because today they know how to think about writing. Figure 1: Rolling from Write Construction. At The Beginning Of the institution 12 months, pupils brainstorm the theme of The Lorax. Pictured listed below are pupils understanding how to use The Write framework to create a text response about motif. This method could be the very core of writing instruction within my classroom. It offers become the starting point for almost any expository (informational) and argumentative writing task my kids believe. I begin the school 12 months introducing and modeling tips use the structure with a thoughtful, wealthy Dr. Seuss text, The Lorax. (See Figure 1.) very first, we show the vibrant hand movements we made up on a whim a single day the strategy fell of out my mouth. It goes like this: they stay, often on seats (scandalous, i am aware) and scream it as loud as they can. “IDENTIFY IT! ESTABLISH IT! CARRY IT BACK ACROSS!” Various other classes hear us and create alternates to carry it Back Around — the original alternate being “NEVER TRIP A CLOWN” (which they shout right back at united states through the wall space and along the hall). This one arises from the classroom of your enjoyable and cheeky mathematics instructor — whom, in addition, courageously started using the method to strengthen writing in mathematics class. Amazing. Even the middle schoolers who’re too-cool-for-school participate in the hand motions and screaming matches. They remember the strategy. It sticks. We model and guide writing instruction around motif and author’s craft utilizing our first anchor texts, The Lorax and Salvador Late or Early by Sandra Cisneros. Times later on, pupils draft their very first speech of the season, a personal message about meaningful occasions in their life. The method is beneficial in assisting them Identify the example through the occasion, Prove It utilizing the tale regarding the occasion, and carry it Back Around by explaining/restating the concept. After that, the dwelling is recycled with a study chart in preparation for a big informational essay, inside improvement a course debate and argumentative essay, and visited again in constructed reactions about how exactly a layout changes throughout a text. In technology class, it’s used in an outline for an argumentative essay on volcanoes. In mathematics, it’s modeled and pre-owned in order to Identify a word issue solution, show It with numerical evidence/justification, and Bring It straight back Around by restating/explaining the solution. Figure 2: test Video of students Explaining the strategy to a peer. Click here to watch. Lindsay’s guide includes 9 videos. The Write construction sticks because i’m determined to slide it into every reading, writing, and address assignment. it is therefore simple and apparent, but the children don’t become ill from it. In reality, I think the strategy brings a feeling of relief. Once they see the wording — Identify It! show It! carry it right back round! — on an overview or a speech brainstorming map, self-confidence is created. it is written into each and every writing task, each and every text reaction, and each single speech. This method also works because individuals “who aren’t ELA educators” become willing to instruct “ELA material” once they see how simple and easy efficient it is. it is quite simple to move over into science and social scientific studies in which expository writing is going on everyday. In mathematics, pupils get writing tasks, usually small ones, and this technique works beautifully. Some pupils may move their particular eyes at mathematics instructor just who breaks from hand motions… but don’t be fooled. THEY THINK IT’S GREAT! Eventually, writing is scored on the basis of the Write construction. Our rubrics and scoring guides hold kids accountable to every associated with the parts. We compose samples together as a class and lots of times make use of the rubrics or scoring guides to vary get a hold of, the entire process of analyzing and scoring interact as a class. We use the rubrics to steer conferencing about writing, and having this language makes conferencing all the more efficient. Basically take a seat and tell a young child I’m planning help them develop a richer “BIBA,” they know exactly what I mean. And this makes the whole process smooth, quick, and efficient. Figure 3: an example Lesson Excerpt for a Non-ELA topic Area. Lessons feature examples of instructor modeling, for a full a number of the 14 test classes, click on this link and scroll straight down. But definitely, there aren’t any silver bullets, and also this technique isn’t any exception. If this process were a necessity on every ELA composing task a kid was given as well as on every overview they’re assigned without modeling (see Figure 3) and no conferencing, it will be less efficient. If technology, personal researches, art, math, physical training educators all embraced the method and place it to their handouts, but didn’t design and review The Write Structure, students may become numb to it. If this technique had been wear a poster and hung atlanta divorce attorneys class room across America but no one had written it along with and for the kids, it would fall flat. Model how exactly to compose with it again and again and over. Meeting with children when they’re practicing independently. Perform some hand motions and also make all of them fun! Share your successes with every training companion you have got for them to come to be excited and transfer it into their classrooms. Show children how to use it if you find no overview supplied, when they are faced with only a question/prompt. Enjoy when you see kids performing exactly that — utilizing it if you have no overview supplied, if they are confronted with just a question/prompt. Use the method to get children writing by marrying outlines and rubrics with the format and language. Score test writing pieces collectively, utilizing those very rubrics — pointing away and critiquing the important thing parts — asking the youngsters: in which performed the blogger IDENTIFY IT? Where performed they PROVE IT? Find the BRING IT BACK ACROSS (BIBA) and then make sure it is thorough and well-written. When you notice it working, weave it into every writing, text reaction, and speech you instruct and assign. Composing knowledge is a skill set that this generation of pupils desperately needs. There are no shortages of professional jobs and life occasions wherein an organized, cohesive, well-written, rich piece of writing is required. This method can be internalized and embedded within the thinking about all pupils. It may stick. It’ll make a difference. It will be the way grown-up students and adults think of crafting e-mails, summative college exam essays, speeches, company propositions, plans. Let’s help use the guesswork out-of good writing and put children up to achieve your goals. Never ever miss an article. Exactly what are Large Five Sentences? While working with some second class educators a year ago, they voiced concerns about their particular pupil’s syntax and feared it absolutely was too simple. We made an agenda: tall Five Sentences. As you would suspect…high five phrases are so great, you intend to offer someone a high-five. In this one-day example, we challenged pupils to tall Five phrases…supporting them how. We smashed the pupils into partners so we gave all of them a Who? and a Did exactly what? puzzle. Acknowledging that individuals had the makings of a good phrase, these phrases had been deemed “kindergarten sentences” because of the 2nd graders. We needs to amp up the sentence before we could phone them large Five 2nd quality phrases. Very first, we added more information towards Who? part of the phrase. We included a gold piece of problem and included adjectives. These students decided the lion was BIG and SUGGEST. Once we added the gold puzzle, we decided we just had a higher 2 Sentence (whomp, whomp). After that, we added a purple puzzle piece. In which performed your lion roar? In which did the mom bake? Where performed the cousin sing? We encouraged expressions like “at the zoo” or “in the jungle.” They certainly were careful to complement their particular in which? problem to their Who? A dolphin needs to be in an ocean, within the sea, or in an aquarium. We had the pupils close their eyes and visualize their Just who? to create a fantastic phrase. These people were additionally asked to use their in which? piece at the start as well as the termination of the phrase. In which made it happen result in the most readily useful phrase? But alas, these sentences had been just High 3 phrases. Next, we added a blue paper and talked about whenever? words. The conversation time words included times of the days, months of the year, real times (10:00), these days, yesterday, the next day, through the night, and in the morning. We additionally had a discussion about where in actuality the where? could possibly be when you look at the sentence. Again, these were asked to go this puzzle piece around to see where they desired this piece going. The students were beginning to get worked up about their particular sentences. We Had Been getting closer: Which? Did Just What? Where? Whenever? Obviously, a top 4 Sentence. I do believe this is the most fun puzzle piece. It will be the amazing solution to figure out exactly what they’re thinking. We’re able to in addition go this problem piece around…decide where it creates the most effective phrase. A blue car crashed…because he was going too quickly. The dolphin hopped…because he needed seriously to get some good environment. The nice grandma baked…because the woman grandkids adored snacks. We requested the pupils when you look at the class to shut their eyes and let their class mates sentences make a good picture inside their mind. They certainly were respectful of every other and commented about the phrases. We counted the Just Who? Did What? In Which? When? together with Why? We’d five! We had made a top FIVE sentence. So, we did what we needed to do…we gave our lovers a top Five. It had been a good course. **This ended up being one class in some classes. Pupils will clearly require several times with this. They could in addition dissect sentences by circling, underlining, and identifying each one of the 5 areas of the tall Five Sentence. Furthermore apparent that most sentences within their writing may not be a higher Five Sentence. One concept ended up being picking 1 phrase from a piece of writing to revise it into a higher Five Sentence. If you would like Freebie for the tall Five puzzles click the link, or click the picture below. How do your billing policies and treatments equate to other accounting firms and bookkeepers? In case you implement changes to help boost your firm’s performance and operations? Let’s study more outcomes from Intuit’s Billing speed Survey. Fixed cost and price pricing is much more typical for month-to-month accounting/bookkeeping/write-up work (57per cent), payroll (57%) and income tax planning (68per cent). For catch-up accounting/bookkeeping (in other words. numerous months at any given time), 61% use per hour billing. However, i believe fixed fee or appreciate rates must certanly be made use of instead of hourly payment for catch-up work. When using QuickBooks Online it is possible to import bank and credit card activity (via a .qbo, .qfx, .ofx or .csv file), establish lender rules and procedure annually or even more of transactions in a portion of the time formerly required. Talk to the bank or charge card organization to down load transactions avove the age of ninety days. If you’re able to only get PDF bank statements, there are tools available to transform the PDF into a file which are often brought in into QuickBooks. (Check out the QB Power Hour archives for tracks with this subject.) With this particular ability to get many months of deals prepared in a portion of the time, hourly payment just doesn’t add up (unless you want to make less cash). ProAdvisors and firms with an online focus are applying technology and automation functions in their firms’ billing practices. QuickBooks Online allows you to automate recurring sales receipts or invoices (and that can be immediately emailed too) for month-to-month bookkeeping and/or payroll solutions. The continual transactions in QuickBooks on the web are undoubtedly automated – there is no need to login or do anything. After that, with QuickBooks repayments, consumers can pay on the internet and it really is automatically taped in QuickBooks (and any charge card fees linked to the payment). Or even better, put up recurring product sales Receipts to automatically process the payment from the client’s bank or charge card (with regards to authorization and signed authorization type). This can be a good opportunity for savvy accounting firms to truly save precious time by automating your payment and collection treatments. In addition, it’s interesting to see that just 51percent associated with QuickBooks Online just users report that their workers track their time (64percent total). As more accountants implement fixed fee or worth prices, many are no further tracking their time. With all the automation and time saving attributes of QuickBooks on the internet and various other technology, per hour billing usually doesn’t sound right anymore. This part of the survey results unveiled some startling outcomes for me – 75percent stated that they have decreased the sum total cost without the client asking! How often does a lawyer, plumbing professional, electrician, or other company charge you less without you saying any such thing about it? As bookkeeping specialists, we need to realize the worthiness of the solutions currently. Whilst it is ‘easy’ for us, it really isn’t for our clients! You almost certainly have actually years of training, instruction and experience which will be important! We have ton’t undermine our very own costs! Another interesting result – 51% stated that a client has objected on complete fee. I would personally surmise this occurs when the bookkeeping experts is using hourly payment. Switching to fixed fee or appreciate pricing should reduce client objections since they would understand the total price ahead of the work begins (or at the least a cost range). Plus, all of the accounting professionals (82per cent) consequently reduce steadily the charge once the customer items. Limiting charges is not an excellent rehearse and most people would prefer to prevent it. We have to make an effort to do a more satisfactory job communicating with customers in regards to the charges in advance. Utilizing an engagement letter would help make clear the services offered and linked cost. As shown into the chart above, just 65percent reported using an engagement page with many or all their clients. Do you identify options for modifications to your firm’s billing practices, guidelines or procedures? Perhaps you have automatic your billing process yet? Now could be a good time to begin implementing modifications to your payment. If you would like continue mastering more info on QuickBooks, join the ProAdvisor Program (for accounting firms and bookkeepers dealing with numerous consumers – it’s no-cost for QuickBooks on the web training, help and official certification) and join me personally for QB Power Hour webinars (no-cost). NOTE: this is initially posted on Intuit’s company for the future website. If you’re like most creative people I talk with, you probably have a dozen different projects bouncing around in your brain. You may even be working on a dozen different projects at once, bouncing back and forth as the muse strikes. That’s a common approach — but it can also be exhausting, creatively. I’ve been feeling the creative burnout lately, so I picked up Productivity for Creative People by Mark McGuinness. It’s a great book, but one section in particular really struck me. He talks about creating a sustainable workload by figuring out what ongoing work you have to do (client work, family obligations, recurring tasks) — this forms your base time obligations. Then, in your extra time, work on a project. McGuinness defines a project as anything requiring a large chunk of sustained work. That could be planning for an event (book launch, speech, conference), building an asset (writing your novel, creating a website, blogging), or clearing your backlog (dealing with piled up emails, errands, or housekeeping tasks). Rather than using my method of bouncing distractedly from project to project, McGuinness limits himself to one project at a time, then works through it until he’s done. Rather than trying to herd a whole mess of basketballs toward the other side of the court in one go, McGuinness takes one ball, dribbles it down, shoots and scores before jogging back to pick up the next ball. When you’re spread too thin, it’s hard to do your best work. Of course, life still gets messy, but keeping the principle of one project at a time in mind can help you create better art, work more quickly, and stay energized. What’s the most important thing on your plate right now? Not just the most pressing — what will make the biggest impact on your career or life right now? Of course, chances are you have a dozen other obligations that need to happen, too. You may be faced with multiple deadlines or an overabundance of client work. Doing this work may take greater priority from day to day, but your big priority project should always be chugging along in the background. Even if you have multiple responsibilities or deadlines, try to stick with the One Project approach as much as possible. What that means for me is that I now spend larger amounts of time working on a specific task until completion, rather than trying to accomplish work for five different clients in one day. I’ll generally choose two pressing client projects per day, and spend the morning working on one and the afternoon working on the other. Remember that overarching priority we just talked about? Even if it can’t be your daily priority, commit a few minutes each day to making progress. One thing I realized a few weeks ago is that the root of my recent creative block is that I’ve been waiting for a mythical huge chunk of time to materialize so I can work on my novel. In that waiting, I’ve written nothing. Finally, I decided simply to take 30 minutes every day and work on it first thing before I do anything else. It’s been a fairly easy resolution to keep, and even though I’m only writing 300-500 words a day, that’s 300-500 more words than I was doing last month! If you can’t find 30 minutes, I know you can find 15. Commit to spending that time on your big project, no matter how hectic life gets. Then, even when life seems crazy, you’re making progress where it really counts. Sometimes you can’t help but be spread thin — there’s simply too many demands on your time. But skipping shallowly along won’t make it better. In fact, it’ll just make you feel like you’re being pulled in too many directions at once. When you need to blast through a daunting pile of projects, commit to going deep. Rather than taking shallow sips from each project, turn off the internet, take a deep breath and practice focusing on the task at hand until it’s done. I like to make myself a visual reminder to work deeply, like putting a Post-it note on my laptop screen, or tying a piece of yarn around my wrist. That way when I have the urge to zip over to social media for a minute, I’m reminded of my commitment. This is much harder than it should be (for me, at least!) But it’s also an incredibly satisfying practice. The best way to not be overwhelmed today is to have said no to half your obligations earlier — obviously. This tip may not help you if you’re already spread thin, but Future You will love you for doing this. Don’t worry. It’s going in my back pocket. How can you tell what to say “no” to? I can’t remember where I first heard this phrase, but this sums it up for me: Only say yes to what “feels light.” What’s your gut is telling you when you consider this project. Does it fill you with energy and joy? Does it make you feel leaden? If you sit quietly with the decision, can you hear a little voice in the back of your head screaming “noooooooooooooo!”? Remember: You don’t do your best creative work when you’re spread too thin. Try picking one project and staying with it until completion — or at least until your creativity is telling you its time to change gears. If you could pick one project to work on today that would have the biggest long-term positive effects on your life or creative business, what would it be? Jessie Kwak is a freelance writer and novelist living in Portland, Oregon. When she’s not working with B2B marketers to tell their brand’s story, you can find her scribbling away on her latest novel, riding her bike to the brewpub, or sewing something fun. The very best origins are based on strong story a few ideas that instantly put the guide apart from all others of its ilk. When you yourself have a poor experience that your particular tale idea isn’t persuasive or unique adequate to hook representatives or editors, significantly less visitors, then this post is merely for your needs. Because all the other things being equal, the possible lack of a strong tale idea is the biggest issue I see in manuscripts by article authors attempting to break right into the business—or bust out associated with midlist onto the best-seller record. A few of these tips and techniques may seem just a little offbeat for you, but provide them with an attempt anyway. Lots of people are directed at seducing your subconscious, a critical if obstinate ally within pursuit to tell good story. Therefore give me the benefit of the question regarding these tried-and-true brainstorming and idea-capturing practices. To find even more brainstorming ideas, check-out The Writer’s Guide to Beginnings. In The Writer’s help guide to Beginnings, writer and literary broker Paula Munier demonstrates how to craft perfect origins that impress agents, engage editors, and captivate readers. You’ll learn how to develop the big concept of your story and introduce it on web page one, framework opening views that include their particular story arc, kickstart your writing with efficient brainstorming strategies, and present a compelling cast of figures that drive the plot. You’ll in addition analyze best-selling novels from various genres to learn the secrets that experienced authors use to dive into a story. With comprehensive exams of vocals, point of view, establishing, dialogue, and conflict, this guide is a must-have device for luring your readers in together with your orifice pages—and convincing all of them to stay around for the ride. Attending to is probably the obvious and hard way to produce ideas. Ideas are every-where once you know where to look and remember to check here. In a global in which we are continually bombarded by sounds and pictures, overstimulated by sets from traffic to texts, and sidetracked from the moment we open our eyes each morning to your final flicker regarding the display screen before our weary eyes eventually surrender to sleep, the gentle art of observation usually goes unpracticed. However observance is amongst the writer’s keenest tools—one that cannot be replicated by technology. it is you to see or watch the planet around you—people, locations, and things, from neighborhood flora and fauna to conversations overheard regarding subway. Society could be the writer’s oyster, so place that smartphone and the ones earbuds in your pocket; go out into the world, and simply take note(s). Ideas can strike at any time—when you’re in shower, in line at the food store, drifting off for a nap. But like lightning, they show up and enter a flash. Therefore prepare yourself to recapture them. Hold a pen and a notebook inside pocket or bag, and a failure that, you can always e-mail your self notes or use the sound recorder software in your phone. I have sticky notes and list cards all over the home. I also sneak a pencil and report into yoga class because doing pilates, like meditating, frequently functions like an idea faucet. One downward dog and the tap goes on—the tips circulation. Becoming funny is, by definition, an innovative act. That’s because laughter often comes from making unforeseen contacts. The best punchline is a surprise—and we laugh on novelty of link. Putting together familiar things in a new way—that’s idea generation. Whenever the a few ideas aren’t flowing, make use of laughter to have your drinks flowing once more. If you’re stuck on the start, rewrite it as a funny scene. Start to see the laughter in something, together with whole globe may open up around it. That’s where in fact the area is, the room you’ll want to root around for an innovative new method. This could appear simplistic, but this rehearse really works. Every copywriter should have an actual location, be it a package beneath the bed, a file pantry within the part, or a bulletin board regarding wall, maintain anything and everything which may prove useful for a story someday. Maps, postcards, souvenirs, slogans, affirmations, news clippings, photographs, pictures, mag articles—collect them. Think of the container as your secret gem, and when you get baffled for advisable, rummage through it. I’ve a thought package, but We seldom undergo it. Out of picture, regarding mind—that’s truer for me than it ought to be. Acknowledging this about myself, I’ve created a better way to produce pictures and ideas that resonate with me. Alternatively, I have covered the fronts of two case doorways with cork. Door number 1 is my story Door, where I pin the index cards I use to plot my work in progress—a scene for each card. On Door #2, I tack reminders of elements I might used in a story someday: photographs of interesting locations, snippets of discussion, photographs of individuals who’d make good figures, sticky notes (now there’s one that says, “Read more John Cheever”), artwork that in some way evokes the motifs that preoccupy me, etc. Every time I look at it, i could virtually feel my small gray cells start firing. Given, my strategy is the fact that of a Luddite. If you’re an early-adopter type, usage technology to jump-start your imagination. Some article writers swear by Scrivener; other individuals use Pinterest. Get a hold of what works available, to get your very own synapses firing. Agatha Christie, whoever diabolically clever ideas for mysteries nonetheless engross audiences almost 100 many years later on, accustomed state that the most readily useful time for you to plot a novel had been while washing the bathroom. At more than two billion—yes, you read that right—copies sold, Christie is ranked by the Guinness Book of World reports due to the fact best-selling novelist of them all. That is enough to make me personally start thinking about stopping my dishwasher forever. Nearly. The main point is that sometimes a good thing to accomplish whenever you think you’ll do not have another good clear idea once again is abandon your desk and take action else completely. Preferably something which consumes your mindful brain, permitting your subconscious mind off to play. Tasks are good—mopping the ground, folding the washing, polishing the gold, cutting timber, weeding the garden, ironing t-shirts, raking leaves—and they feature the added advantageous asset of supplying a sense of accomplishment and an orderly environment when the chaos of your imagination can hold courtroom. Just be willing to stop mid-chore to run towards desk and capture most of the great some ideas encouraged by that homely art of housekeeping. Keeping an optimistic mind-set is essential, but becoming positive is only element of becoming happy. Becoming undoubtedly pleased, you will need to go deeper than a confident outlook. You need to believe that you might be leading a meaningful life (or, a failure that, a life at the least well worth residing). Fortunately for article authors, writing is a way of making indicating out-of what-for many feels like an existential void. That void is a source of sadness, and sadness, like anxiety, is the enemy of creativity. Unhappiness impedes the development of brand new ideas, according to researchers at Penn State University. People suffering from even a mild instance of this blues have a tendency to keep back, cautious about making errors and cautious to the stage of inhibiting innovative work. Additionally, people in bright moods outperform those in sad or basic emotions throughout kinds of divergent reasoning, from word connection to tale ideas. Seriously. Joy isn’t only great for your own personal life; it is good for your expert life besides, and undoubtedly your writer’s soul. So don’t worry; be happy, and hold writing. Think of favorite story—the the one that kept you switching pages later in to the evening, the main one with a plot therefore compelling, so multilayered, so perfect you couldn’t place it straight down. How could you create your own plots—in your novels, short stories, memoirs, or screenplays—just as irresistible? Plot Ideal gives the solution. This unique plotting primer reveals the secrets of fabricating an account construction that works well—no matter exactly what your genre. It provides you the techniques you need to develop a scene-by-scene plan that will help elevate your fiction and earn the attention of agents and editors. Paula Munier is Senior Literary Agent and information Strategist at Talcott Notch Literary providers. She started the woman job as a journalist, and along the way added editor, purchases specialist, digital content manager, writing manager, writer, and writing teacher to the woman arsenal. Paula is the writer of a few books, including Plot best: developing Unforgettable Stories Scene by Scene. The woman first secret series debuts with Spare These Stones in 2018 (St. Martin’s Press).